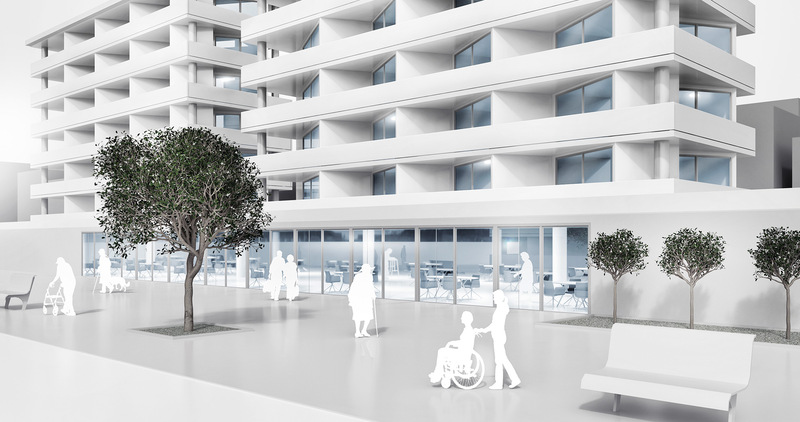 Easy access to rooms, to light and fresh air increases the quality of life for senior citizens. The GU group solutions are perfect for this. They combine barrier freedom and security for the benefit of all residents. In residential care homes in particular, open windows can pose a danger to residents. Slide&Turn windows provide an elegant solution. 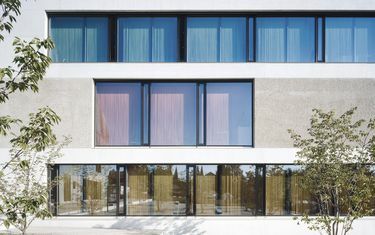 Their floor-to-ceiling sashes let plenty of daylight into the room, and improve the appearance of the facade. When open, the sash is positioned in the centre. This provides protection against falling during ventilation. A classic debate when it comes to planning care homes: for security reasons, door closers are essential although they can become an obstacle for the residents. 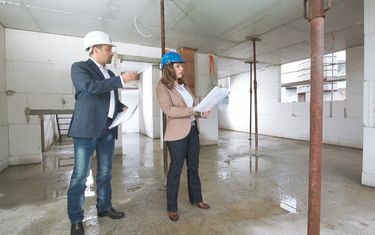 The solution for this is provided by overhead door closers with an integrated electrical free-swing function: in normal operation, fully barrier-free access to the door is possible as if there were no door closer installed. In the event of fire, the free-swing door closer ensures that the door is reliably closed. 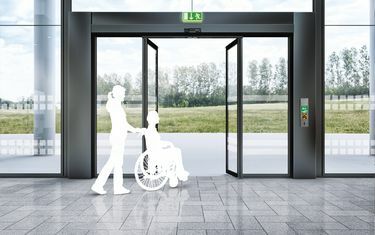 Automatic doors are an obvious choice for barrier freedom in care homes. In this case, a locking system must ensure that residents do not leave the building without being supervised at night, for example. However, it must also be possible to escape in emergency situations at any time. 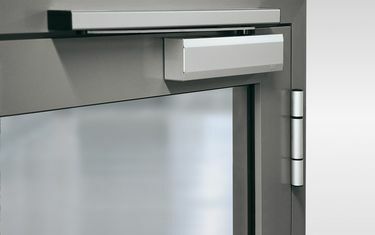 The automatic HM-F FT escape route sliding door provides an intelligent solution. It is the only sliding door that is also approved as an escape door when locked: in an emergency, it becomes a swing door thereby providing a safe escape route. This dispenses with the need for separate escape doors.